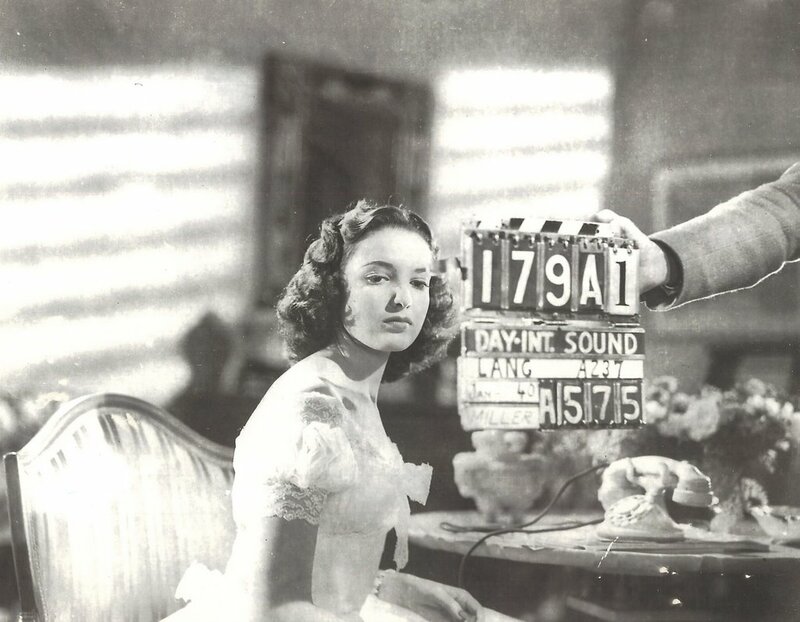 Linda Darnell walked on to the 20th Century Fox lot at the age of fifteen with her crazy mother and a live rooster in 1939. They’d come from Texas, and Linda was about to be groomed for stardom in much the same way as her screen counterpart in the following year’s Stardust, a Cinderella story designed to showcase the new teenage attraction. The rooster was a pet from home (they just couldn’t bear to leave it there), and the mother was sufficiently obnoxious to get herself permanently banned from the lot. Linda’s rise --- no, make that catapult --- to the top rungs of stardom was very much the stuff of girlish fantasies across the land, and if it could happen to Linda, maybe it could happen to them. Of course, if they’d known what eventually did happen to her, they might well have directed their dreams elsewhere, for this would be a Hollywood story with a sad end, and not a lot of good times in the interim. 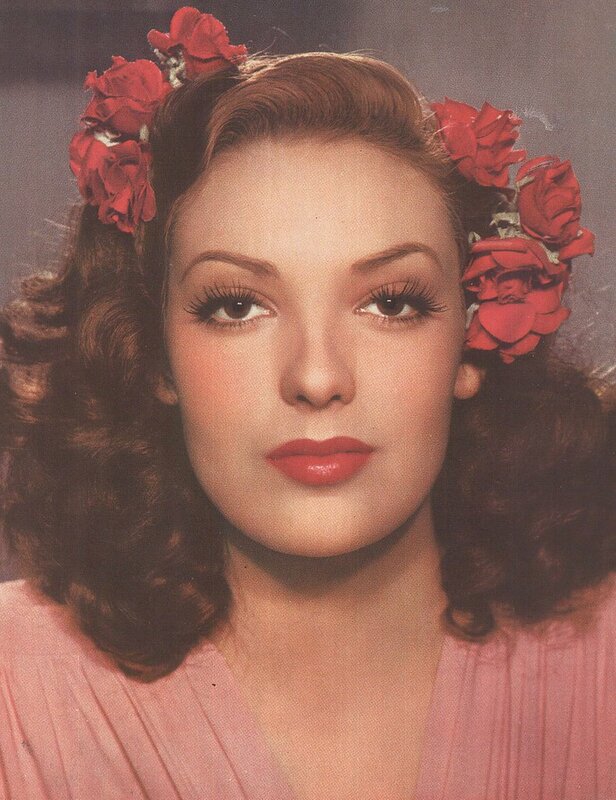 Her looks were the only thing that equipped Linda Darnell to enter the movie business. Her father was with the post office in Dallas, so at least the depression hadn’t starved them out by the time precocious Linda started bringing home the loving cups from various local beauty contests. This real-life Esther Blodgett was really named Monetta, but the siblings called her Tweedles, and this family’s idea of a night out was to drive down for a close-up view of the bullet-riddled bodies of Bonnie Parker and Clyde Barrow after those two desperados were taken in a nearby ambush. Linda never forgot the sight of that to-be-glamorized-in-the-sixties couple as they lay on the lawman’s butcher board. Who knows, it might have prepared her better for the ambush that awaited her in Golly-wood. Her innocent beauty made ingenue-dom a foregone conclusion, and she languished in these parts for five or so years until it looked as though they’d wrung her dry. A sultry image change forestalled the inevitable, and she rode that spike for another six or so years before the decline of the studio system and a post-war public’s indifference finally sent her packing. 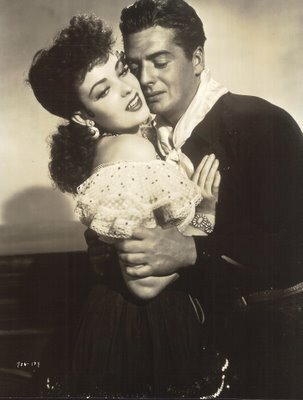 Three marriages and countless dinner theatres later, she was making her last stand in one of those ten-day (if that) A.C.Lyles westerns for Paramount, Black Spurs. Alcohol had made its inroads by then, and the career was pretty much a bust-out. Whatever was left of her public was startled to hear of Linda’s death in a Chicago house fire when she was only forty-one. For all the hardship she’d had, it was a surprise to learn she’d died so young. You might notice from these pics that Linda went right off the launching pad into adult roles. Fox didn’t need another Shirley (they were ready by now to get rid of the one they had), and so it was co-starring parts with heartthrob Ty Power right from the get-go. Here they are as a married couple in 1939’s Day-Time Wife, and get this, Linda was fifteen when they started shooting the thing! The movie isn’t much. Like so many others from that period, it’s hobbled by the Code, but was the Breen Office aware that this kid was playing at four-way marital hijinks with Tyrone Power and roguish Warren William? It’s a cinch they’d not get by with such casting today. 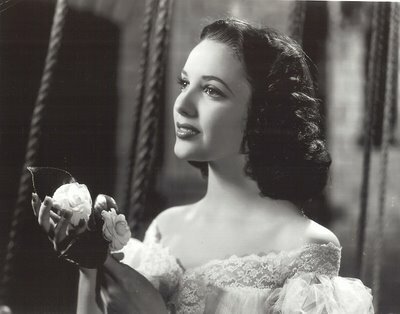 The only time Linda was cast age-appropriate in these early ventures would be Star Dust, and that charming Hollywood story (which turns up occasionally on Fox Movie Channel) was released in 1940. Here she is, age sixteen, sitting behind the slate marked January of that year. One of the first 16mm features I ever owned was a dupe of The Mark Of Zorro. During college years, I used to crawl through half-open windows at night and watch it on classroom projectors, hoping the custodians wouldn't detect my presence even though I liked playing that Alfred Newman score at a booming volume. Well, it’s not as though you could get the DVD for five dollars at Wal-Mart in those days. 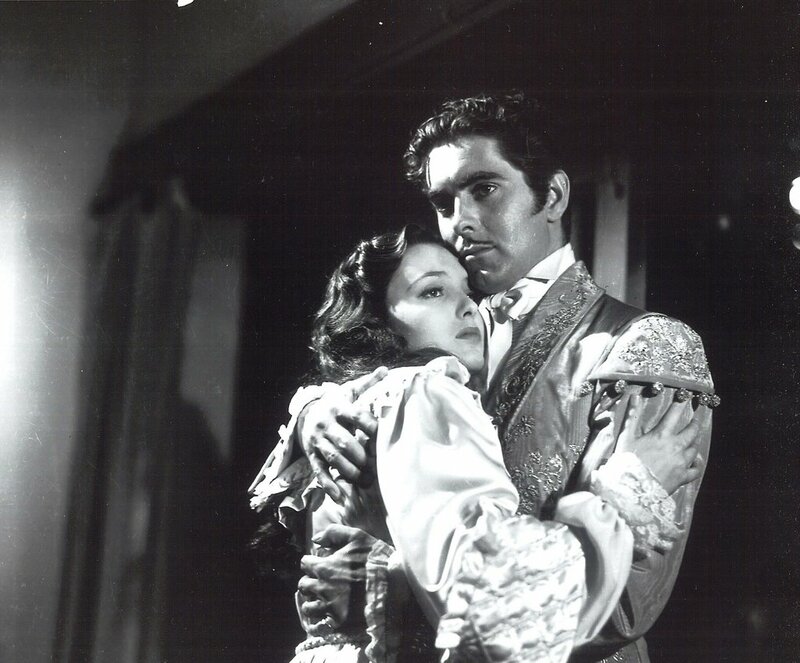 Anyway, this shot of Linda with Tyrone Power came from a "killed" negative, meaning Fox elected not to use it for publicity. How it came into the possession of my source would make an interesting story, I’m sure, as this negative should have been destroyed over sixty-five years ago. The color image shows a maturing Linda headed for the siren phase of her career, via things like Summer Storm, Hangover Square, and Fallen Angel (just out on DVD). Among the really good ones Linda did (and there were lots) was John Ford’s My Darling Clementine, and here she is with Vic Mature in that one. I remember seeing a TV interview ten or so years where Burt Reynolds was talking with Carol Burnett. She was describing the thrill of meeting Linda Darnell once when she was a teenager at a premiere. Burt listened politely, then casually mentioned the fact that he had worked with Linda on the stage back when he was starting out in the fifties --- "I did Tea and Sympathy with her once …" Just as Carol reacted to that, a commercial interrupted them both, and we never heard the story. If ever I meet Burt Reynolds, this will be the first question he gets from me. John, I just read about the house fire that claimed Linda's life. Seems that there were others also in the house that had ample time to get out, but that Linda delayed her escape to get $1200 cash that she had in a room downstairs. It's also interesting to note that Linda "died" in fires in (I think) three of her movies. I said this many times before but I don't care if I repeat myself..This is an extraordinary blog and you are doing a wonderful job. A model of elegance, taste and knowledge. Thanks. Linda bears a striking resemblance to Paul Stanley, guitarist for KISS. I concur with Oscar Grillo; I love this blog and I visit it everyday to see your new posts! Great piece, her story is so classic. Complete with crazy mother and rooster.